Functional, dynamic, and secure informatics platforms play a critical role in supporting the research activities of the iBOL Consortium. Over the past decade, BOLD has established itself as the global workbench for the assembly, analysis, and publication of DNA barcode records. 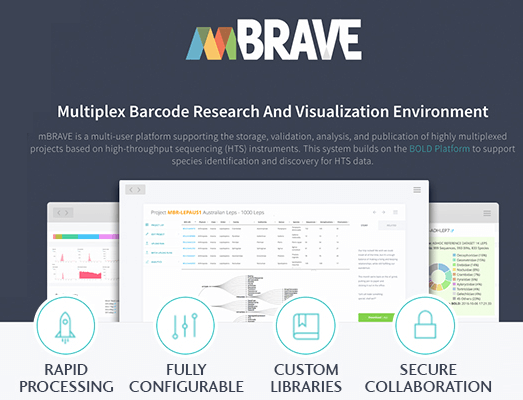 In a similar fashion, mBRAVE will provide the storage, validation, analysis, and publication capacity to meet the challenges of highly multiplexed projects based on high-throughput sequencing (HTS) instruments. 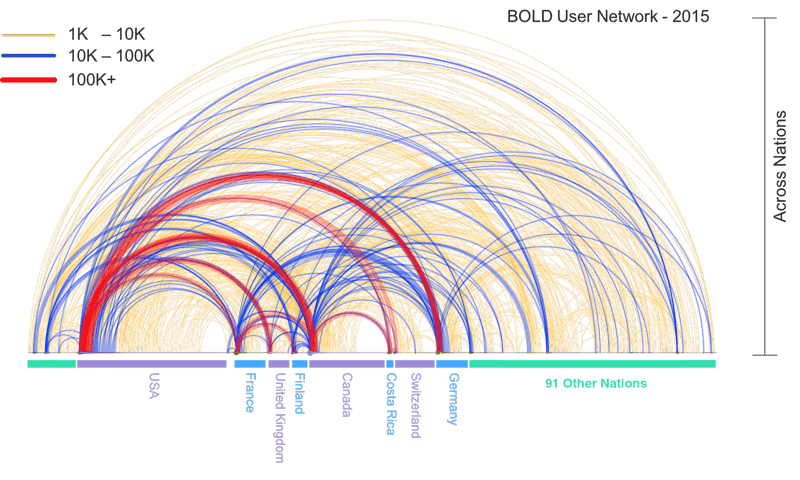 As the central informatics platform for iBOL, BOLD is the online workbench and database that supports the assembly and use of DNA barcode data. It bridges a long-standing bioinformatics chasm by assembling molecular, morphological, and distributional data while facilitating the sharing of that data across a large network of users. It also provides specialized services to researchers, helping them to assemble records that meet the standards for barcode designation in global sequence databases. BOLD supports 1000+ institutions across nations in the secure sharing of biodiversity and DNA sequence data.